New Member Ethan Hillery welcomed! The Rotary Club of Mission Beach recently welcomed their newest member, Ethan Hillery. Ethan is currently studying, spends his spare time volunteering and also fits in a song or two in the local choir at Mission Arts. Ethan is pictured with Ron Taylor and Chris May. 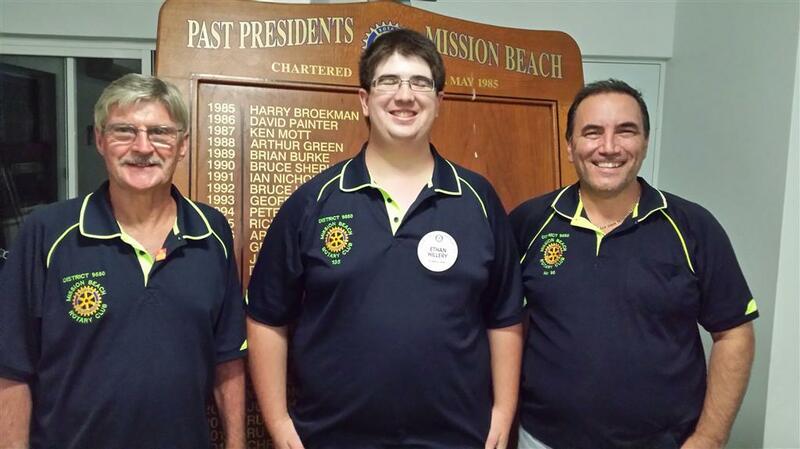 If you're interested in becoming a member of Rotary Mission Beach please contact Chris May.